The Balangiga bells are owned by the Filipinos that was taken by the Americans after the Philippine-American war. 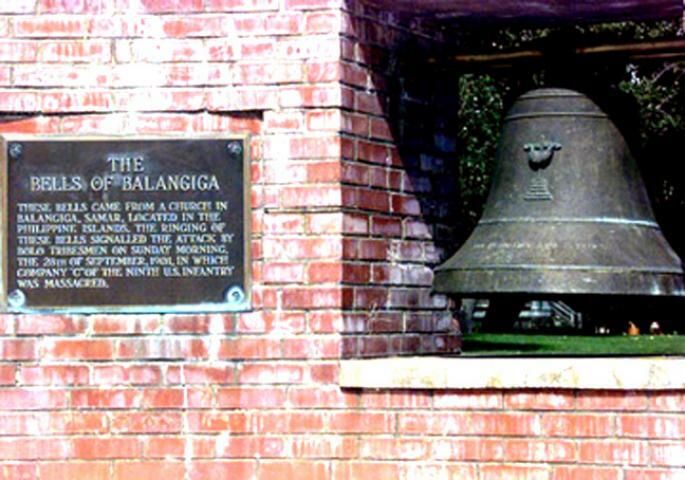 After years of people and organizations trying to request and demand that the bells be return home to the Philippines, the United States of America finally gives back what is the Filipino’s. 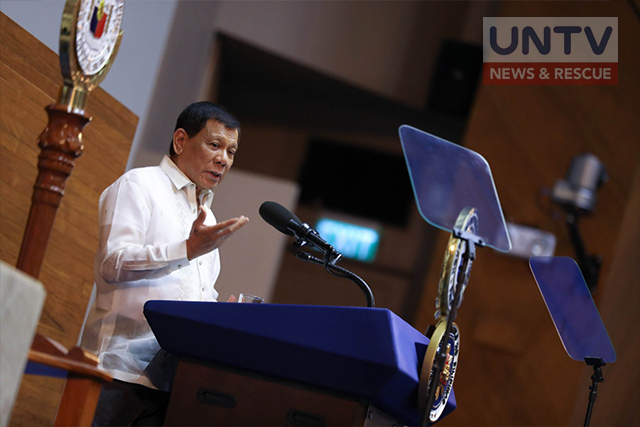 In a State of the Nation Address (SONA) done by Philippine President Rodrigo Duterte, he requested to the USA government for the bells to be returned rightfully to the Philippines as Filipinos have spent years trying to get it back. "Give us back those Balangiga bells. They are ours. They belong to the Philippines. They are part of our national heritage. Isauli naman ninyo. Masakit ’yun sa amin,” Duterte said in his second SONA. Many Filipinos aren’t aware of the existence of the bells and what it means to the country but have commended the president for what he said. Msgr. 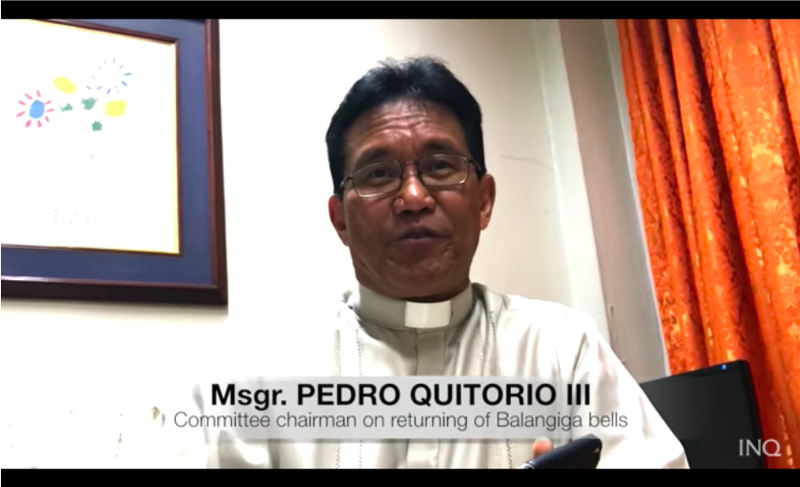 Pedro Quitorio III, the committee chairman for the return of the Balangiga bells in the Diocese of Borongan sought out to clarify the fight of the return of the bells. He said in an interview that many efforts have been exhausted in order for the bells to be returned, even before the Duterte administration. He said that the thanks and praise must not just go to Duterte alone but to many other people that have been involved in the efforts. Including in those who should be thanked, said Quitorio is former President Fidel Ramos, former Philippine Ambassadors to the United States Raul Rabe an the late Senator and Ambassador Ernesto Macedo whom he says are the ones who directly lobbied with the United States for the bells to be returned. “Bago siya (Duterte) magsalita sa Sona palabas na yun. Ang inaantay na lang yung confirmation ng (US) Defense Secretary,” he said. “If I were going to give a pasasalamat, I would start with President Ramos, Ambassador Rabe, Ambassador Ernesto Maceda sila ang nagstart nito nakipagusap nakipaglobby ng matagal,” he said. According to Quitorio, many Filipino-Americans in the United States also exhausted a lot of effort for the retrieval of the bells. “There was a Hollywood producer yung gumawa ng film, “Two Bells, Two worlds” actress si Susan Sarandon she herself is part of the effort,” he said. According to Quitorio, all that they are waiting for is the approval of US Defense Secretary Jim Mattis and the shipment of the bells. He said that there was already a ceremony done of the turnover of the bells an that they just await the exact date of the shipment of the bells back to the Philippines.